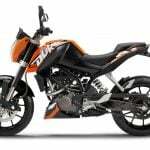 KTM and Bajaj Auto will launch a new 375cc member of is entry-level Duke lineup, reports Indian site Zigwheels. 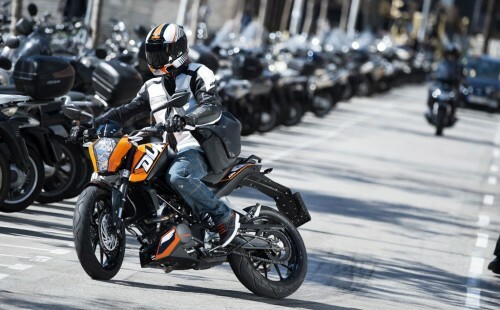 Previous reports had KTM developing a 350 Duke as an extension of its 125 and 200 Duke (pictured above) family. The 350 Duke was also listed on a leaked Powerpoint slide from a North American dealer meeting we published in February, so this new model may be the first of the small-displacement Duke family to make it to the U.S. According to the report, the new 350 will now be called the KTM 390 Duke, following the numerical nomenclature of the company’s larger-displacement models such as the 690 Duke, 990 Super Duke and the recently unveiled 1190 Adventure. 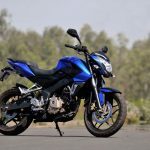 Zigwheels reports the 390 Duke will use a similar trellis frame and WP suspension as the 200 Duke but with a fuel-injected 375cc liquid-cooled single-cylinder engine. 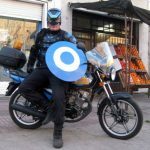 Zigwheels also reports the engine will produce 45 hp while the 390 Duke will weigh in at 331 pounds. 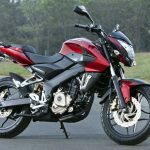 KTM stakeholder Bajaj Auto will produce its own version of the 390, just like it did with the Pulsar 200NS which is based on the 200 Duke. 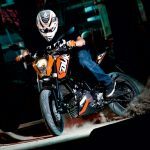 The leaked Powerpoint slide had the KTM 350 Duke listed as a 2013 model, and if this actually referred to the 390 Duke, then we should expect it to debut at the 2012 EICMA show in Milan on Nov. 13.